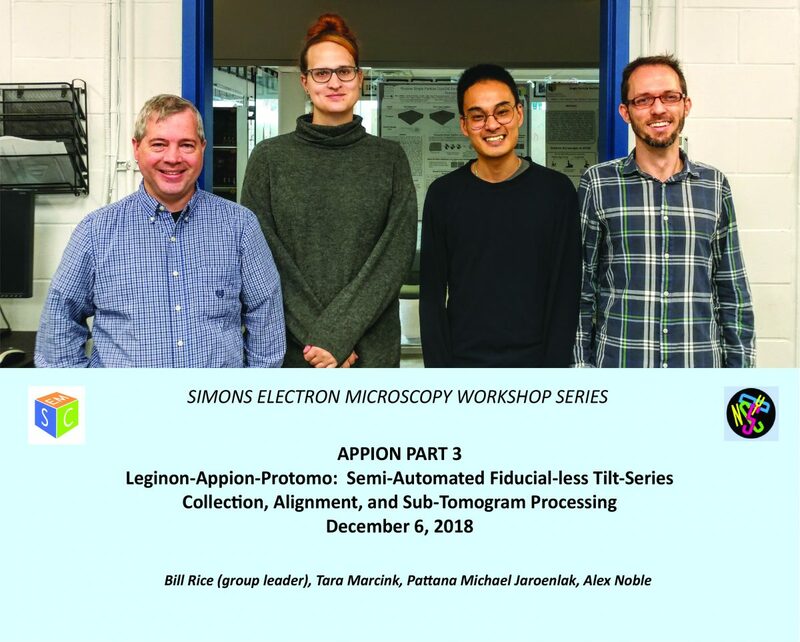 This Workshop covers tilt-series collection in Leginon, fiducial-less tilt-series alignment within Appion with Protomo, and sub-tomogram averaging with Dynamo. With this knowledge you will be able to create de novo initial models for single particle projects that no reviewer can argue with after just 1 hour of collection or collect and process tilt-series of FIB/SEM lamella, and anything in between. 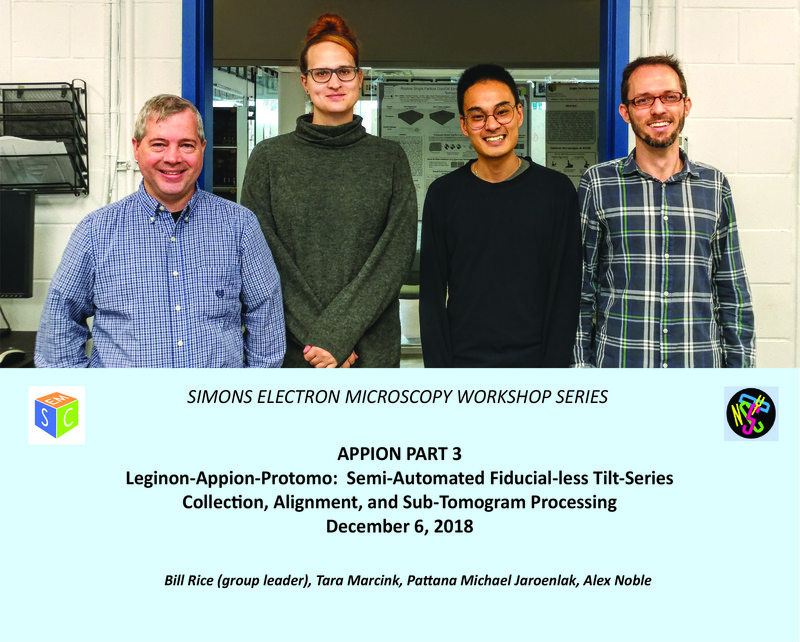 To find out when the next Appion Part 3 Workshop will be held, emg@nysbc.org.